Our listings book weekly, Saturday-to-Saturday (a few book Sun-Sun) in late June thru mid-Sept. We cannot accommodate nightly, partial or split weeks in season; some cottages will permit such bookings in the off season (May/June & Sept/Oct) — see each listing for details. Confirmation of Reservation: We’ll confirm your requested week(s) with the owners (if required) and email confirmation to you along with an emailed link to your Rental Agreement, an online document at EchoSign.com. You can eSign it online with a few clicks of your mouse, and when the owners have signed, you will receive a completed copy by email. Initial Payment: 50% of the rent is due within 7 days of booking (or immediately by credit card via Vacation RentPayment for last-minute bookings), payable to Acadia Cottage Rentals (ACR)–we accept personal or company checks, money orders (mail to ACR, PO Box 949, Bar Harbor ME 04609), bank transfers (with $10 fee) and by credit card (through Vacation RentPayment, with their 2% fee). If this first payment is not received by the due date noted on the Rental Agreement, the booking may be cancelled at owners’ discretion. We’ll confirm completion of the Agreement and any payments received by email. Final Payment: Due at least 30 days before arrival (immediately for last-minute bookings), it includes the remaining balance of rent, ME Lodging Tax (9% on rent and fees) and the refundable Security Deposit; the due date and amount is noted on your Rental Agreement and on all confirmation posts. No reminders are sent, as payment due dates and amounts due are noted on all emailed confirmnations and on the rental agreement itself. If payment is not received by the due date your booking may be cancelled without refund of any prior payment and the cottage rented to another party. Directions & Entry Info: Once full payment has been received, we’ll email a Google Map link with directions, entry/key information, emergency contact and other information. Cancellations: When you request to book a cottage, it is marked unavailable on our booking calendars, removed from the rental market and subsequent requests to book it are refused. For that reason, after a Rental Agreement is completed requests for cancellation will be accepted but are not refunded unless we are able to re-rent the cottage for the same term. Every effort will be made to do so, but we cannot guarantee success. If you cancel after sending the initial payment but before making the final payment, the full amount remains due and payable unless the term is re-rented. If we are able to re-book, a refund of payments, less a cancellation fee of $50, is sent when the new booking is paid in full. Arrival: Check-In time is noted on your rental agreement, usually 4 PM, which allows time for cleaning after the previous guests’ departure. Please don’t ask to arrive or store belongings early, as it disrupts the cleaners work. Unapproved early arrival may incur a fee of up to $25. Pets: Pets, where permitted and approved, must be under control at all times (including excessive barking) and yard & grounds must be cleaned of pet debris promptly. Further restrictions may be posted in the cottage — most owners do not prmit pets to be left alone in the property. Please do not bring pets that are unfriendly to people or other pets or which have a history of excessive barking, disruption or damage (carpets, screens, doors, furniture, bedding, etc.). You will be charged for damages or extra cleaning required due to pets. Problems: If any problems arise with your cottage, call the designated contact posted in the cottage, call or text us (preferably during office hours, 9 AM -6 PM) — Tom at 207.460.1000 (info@acadiarental.com) or Alan at 207.479.1189 (book@acadiarental.com). Please report unsafe or deficient conditions promptly. Local Info: Our website has many informative links to local services, attractions and other interesting stuff. Most cottages will also have lots of printed information available on the Mt. Desert Island area and Acadia National Park itself. If you have specific questions and can’t find the information you need, give us a call and we’ll try to provide it (or point you in the right direction). The Chamber of Commerce website, barharborinfo.com, is the best local resource for comprehensive local information. QUIET HOURS: 10 PM to 8 AM, and please maintain peace and quiet suitable to the location of the premises at all times. Local disturbance ordinances are enforced. The premises should be left in a generally tidy condition. Used dishes, cookware and equipment should be washed and stored and counters and tables wiped clean. Trash and recyclable bottles & cans should be bagged separately and placed in designated containers if provided — never leave bagged trash where animals can get it. Used bed linens should be stripped and piled unfolded in the bedrooms and used towels/bath mats piled in the bathrooms/tubs; if washer/dryer are provided, it is requested that a load of used towels be started unless cottage info directs otherwise. Additional requirements may be posted in the specific cottage information. Check all areas: closets, drawers, outlets, etc. for personal belongings, device chargers, souvenirs, clothing and other items. Return keys to their original location and leave entry doors as they were on arrival. Lost keys will be charged $10 each. Security Deposit Refunds: After your departure, the cottage will be inspected by cleaners, owners or agents and any damages or other notable conditions discovered will be reported to the owners, who will determine charges to be applied against the Security Deposit. Charges will be deducted prior to refund of any balance remaining and will be itemized. When the Security Deposit is released by the owners, it is refunded by emailed link to your online eCheck (from app@eChecks.com), emailed 10 days after the end of the booking term. You can immediately print and cash or deposit your check. Return Guests: If you wish to visit the same cottage again next season, please let us know as soon as possible after departure so we can process the booking and secure your preferred week(s)–at your request we can carry your released Security Deposit to next season’s booking and first rent payment (50%) will be due in January. Calendars may fill far in advance–if you don’t let us know you want to return we can’t promise availability even if you are a repeat guest. Some owners offer a Wait List to previous guests for future seasons. We invite your comments and suggestions, and look forward to serving as your agent for future visits. Our goal is to make every visit to this beautiful area as enjoyable and carefree as possible for our clients. 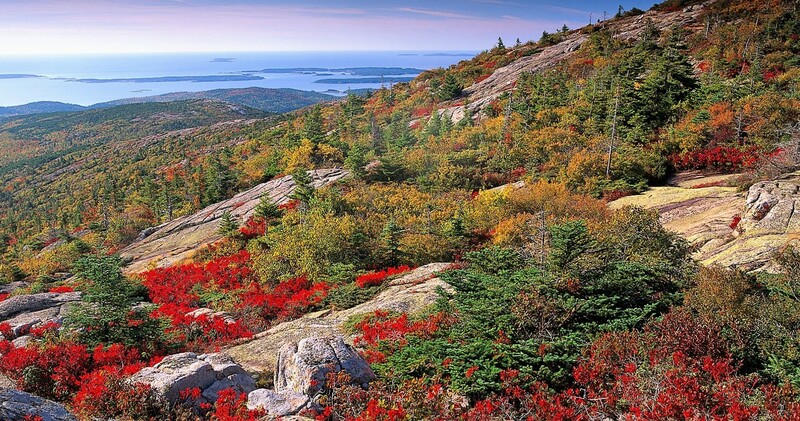 We want to be YOUR PLACE IN ACADIA!